I've spoke before about how I'm constantly reorganising and changing up my bookshelves. When I look at my bookshelves I like to feel happy at the sight before me, and for that reason I make my shelves visually pleasing to my eye, however there are a great number of ways in which you can organise your bookshelves... Today I'm sharing five of those. One of the most common ways to order your books is alphabetically - this is a great way of organising for those who are keen on having a proper system in place that helps you to keep track of all your books, with each title being easily locatable. It works well for libraries, so why not your own book collection?! Deep down I absolutely love this idea, and had I been someone who tracked their reading from very early on, I would be tempted to organise my books chronologically. Ordering books in chronological order - starting from your first read book and onwards - is basically a visual reading record. I think this system would be particularly great for those who have a hard time getting rid of books and keep pretty much all the books they read. Taking even more inspiration from the library, you can organise books by genre. If you're someone who reads quite widely, as opposed to sticking to the same two or three comfort genres, then this system would be wonderful for you. You could even transform your book collection into your very own library by organising by genre, and then alphabetically within said genre. In the past couple of years organising your books by colour has become a bit of a trend of sorts, but there is no denying how beautiful colourful bookshelves look! Organising your books by colour is a perfect method for those who aren't fussed on a fully functioning system, but are keen on visually appealing shelves. Lastly I want to touch upon styling your bookshelves, which in itself can cover a multitude of elements. Styled shelves are perfect for the visual and creative types, plus also those who don't own too many books as you can fill out your bookcase a bit. Elements for styling your shelves can include stacking your books both horizontally and vertically, adding trinkets + ornaments + photo frames, placing your favourite cover front facing in order to highlight them, painting the backboards of your case in order to have colour peeking through, and even adding life to your shelves with flowers and greenery. I don't organise my shelves specifically in one way, as you'll see from my picture above: I have a shelf for books by one of my favourite authors, I have some arranged by colour, some aren't even 'technically' organised I just liked how they looked. 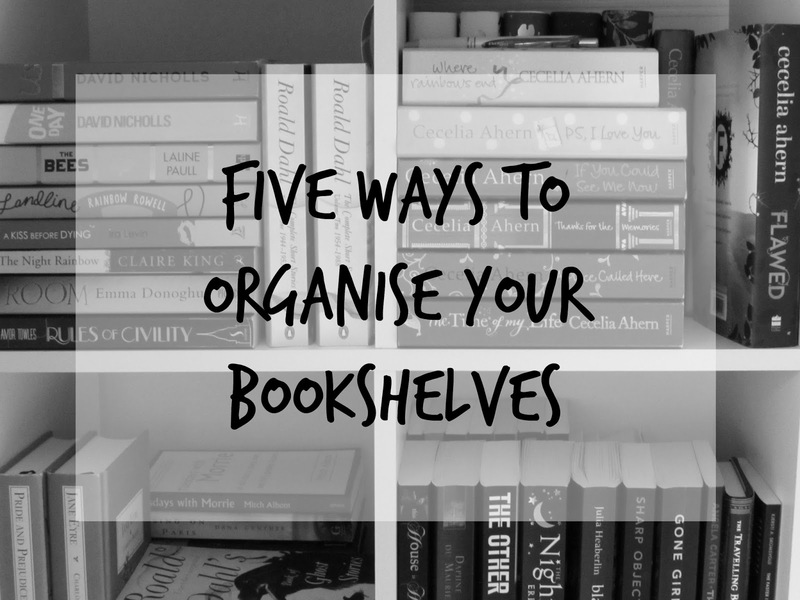 I'm keen to hear how you organise your books, whether that be the one method or a mixture. I am a mixture. I am alphabetical for my trades/hardcovers, but I have my mass market books kind of stylised so they don't take up so much room. When my books were still at my mother's and I had more room, I had them organised by genre and then had them alphabetised and had one shelf just for my mass market books. I think space and storage definitely play a role in how we organise our books... I know if I had more space / a different kind of shelving, I would probably organise them differently to how they are now. Nice ideas! This will make others gasp, but I got rid of a lot of my books last summer. I read almost exclusively ebooks now and was tired of all the clutter. I only kept my very favorites, and those I removed the dust jackets from and organized them by color on my shelves. I threw in some photos and a few special knick knacks and love the clean, uncluttered new book shelves! I love the sound of your bookshelves, Susie! I know a number of people who read exclusively ebooks now and reduced the size of their book collection - keeping your very favourites is a good idea. I do feel like my shelves can be overwhelming and cluttered at times, despite having a smallish collection, which is why I'm concentrating on using my local library more than purchasing books - so far this year I haven't purchased a single book! I prefer to read physical books over ebooks; upping my library usage is the best solution for me. I find keeping your read and unread books separate really helps with staying on top of your TBR/unread stack - nice ideas! I organize my books by color and size. Some of my shelves can only fit small books. I remember the color of a book more easily than its title/author, so organizing by color works well for me. It sounds like you have a great system that works for you! Your shelves also sound visually pleasing! Organising your bookshelves can be a big undertaking - good luck! Haha - that's very true regarding book locating. When I have more space for my books (and a lovely read nook - one can dream! ), I think I'll be likely to alphabetise my books. I think it is an effective and usual organisation method. I have dreams about organizing my bookcases by genre, then alphabetically by series but I don't have the bookshelves for that right now. One day it'll happen! Great post! One can dream... I know I have plenty of them for my book organisation! Thanks for sharing! I think with the rise in ebooks, this is the route a lot of people are going down - and it is totally understandable! I really would love to do the color thing, but I have book shelves all over my room so it's hard to make it look nice. Right now I just have things in a random order, for the most part. I have a whole shelf for Harry Potter and J.K. Rowling! Haha - I have a shelf dedicated to all things Harry Potter also! I have a number of shelves that are grouped also, Julie. I think that is quite a good organisation method in itself, and I know I find certain books easier because of it. 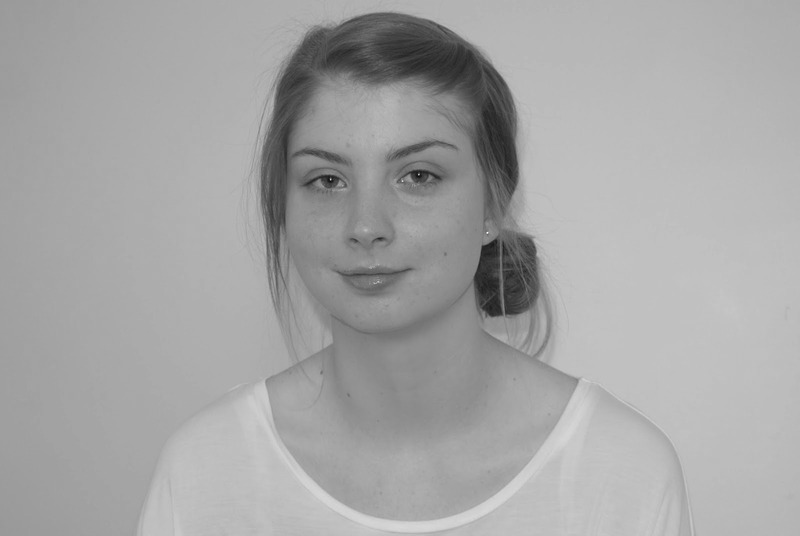 Organising and reorganising can seem overwhelming, but as you say, it is a lot of fun!